Seeing the title, I already know what you’re thinking. Free laptop? Why should I even bother reading this when it’s probably a scam? 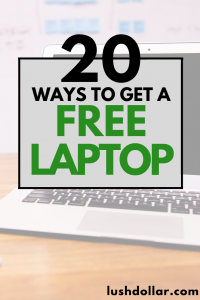 While I agree with you wholeheartedly, this isn’t the intention of this post as I wanted to share with you some awesome organizations and strategies you could consider if you’re in need of a laptop and don’t want to pay a dime. Now, before you get excited, it isn’t as easy as adding it to your cart, clicking submit and waiting for the box to arrive. So if you want a laptop without doing anything, I hate to break it to you, but you’re going to have a tough time. Instead, depending on which option you choose, you more than likely need to meet certain restrictions, for example. Most of the time, you will need to be either on some sort of financial assistance (low income, etc), live in public housing, be disabled and/or have a child who is attending a public school on a free lunch program. All of these restrictions will vary, but I will do my best to explain what each organization is looking for if you’re thinking about applying. Sadly, if you’re not considered low income, then this list probably won’t be much of value, with the exceptions of a few discounted programs. With all of that out of the way, here are some organizations and strategies to consider if you’re looking for a free laptop. Computers with Causes accepts laptop, computers, tablet and electronic donations from around the United States, offering donors a tax write off. In return, these donations are then given out to schools, needy individuals, future learning programs and so much more. You can view all the various types of organizations Computer with Causes helps here. It’s quite the list! To qualify, however, the company does ask that you fill out a computer application on their main website, which will assess your situation and check your background and references. And from the looks of it, as long as you’re on a limited income and truly need a laptop, your chances could be pretty good. Yes, as you can imagine, not everyone will qualify, but if you feel you’re a candidate, then fill out the application mentioned prior and let the organization know why you are a candidate for a free laptop. As per the organization, if you receive assistance from additional services, such as SSI, SSDI, TANF or Food Stamps, to name a few, it may affect or terminate your current benefits. Keep in mind that the organization does receive a lot of requests, but this is generally the case with most of these organizations on the list. Komputers 4 R Kids is a 501c3 non-profit organization that helps provide reused technology to underprivileged students, families and schools. And since 2007, the organization has provided hundreds of computers to schools and other non-profits for the sake of building computer labs and keeping these electronics out of our landfills. If you’re interested in receiving a computer, you can fill out the following application on the website to see if you qualify for a full desktop PC bundle. In general, on this application, the organization wants to know if you’re on financial assistance, have a disability and if your child is attending school at the time of applying to determine your eligibility. I talked about EveryoneOn in my free internet guide, and I wanted to include them here as well since they are an awesome organization that finds many offers you may qualify for based on your income, etc. EveryoneOn is a non-profit organization that creates social and economic opportunity by connecting everyone to the Internet, and while the company focuses primarily on connecting families to the Internet, some of the providers listed on the website may be able to provide you with a free/discounted laptop/computer as well. By 2020, they project that they were able to hook more than one million people to the world wide web! To see if you qualify for free Internet and/or a free/discounted laptop, you can check out the current offers here. All you need is your zip code. And if you see a program of interested, then simply click on the sign-up button for more information. Founded in 1999, The On It Foundation is a non-profit that provides laptops, computer training and Internet to low-income families with students in grades K-12 who attend a public school and receive either a free or reduced lunch. And if your household meets the guidelines, then you can request a computer, either via e-mail or through the mail. All of this information is on the company’s website. Do keep in mind that if you apply, the organization will ask for additional information, including confirmation from your child’s school on school letterhead, for instance. To learn more about the program, refer to this FAQ page. Free computers are based on availability and are not guaranteed to be available at the time of applying. By chance, if no computer is available, then you will be put on a waiting list until one becomes available. This is all based on current donations. The World Computer Exchange organization is different than most of the organizations I listed here as they work primarily with countries outside of the United States and ship their donations in bulk, often up to 600 computers at a time. So it may not be the best choice for an individual, but rather, for groups in developing countries that want to connect its youth. So if you’re reading this and you don’t live in the U.S., this may be an organization to consider if you’re interested in a free or even low-cost laptop with educational content. Primarily dedicated to helping developing countries connect its youth to the Internet, the World Computer Exchange offers most of its computers to applicants younger than 24. To learn more about the program, you can visit the organization’s “Get Computers” page to find out if you qualify. Your local government-owned Department of Social and Health Services may be able to help connect you with local programs and organizations, aside from the ones I listed here, that may be able to help you. Since a lot of these programs that can help you are often dedicated to the local community, it’s hard for me to list all of the organizations out there as there are many. For instance, Smart Riverside, based in Riverside, California, is one of the many examples of local cities that offer their residents free laptops if they qualify. To get a computer through Smart Riverside, you must live in Riverside, make no more than $45,000 a year and commit to a free eight-hour computer training class. Again, there are a lot of organizations that work within a city and nowhere else, so I highly encourage you to contact your local governmental agency. To get in touch with your Department of Social and Health Services, a simple search, such as “Department of Social and Health Services + your city” should yield results and contact information can often be found on the main page. You could also search for “free laptop + city” to see if any results pop up as well. Aside from the Department of Social and Health Services, I also recommend you check out Benefits.gov to see what other benefits you could qualify for. PCs for People refurbishes laptops and desktops to eventually distribute to eligible recipients. And to receive a laptop from the PCs for People organization, a potential recipient must be below the 200% poverty level or be enrolled in a government assistance program. You can find out more about the company’s eligibility requirements here. 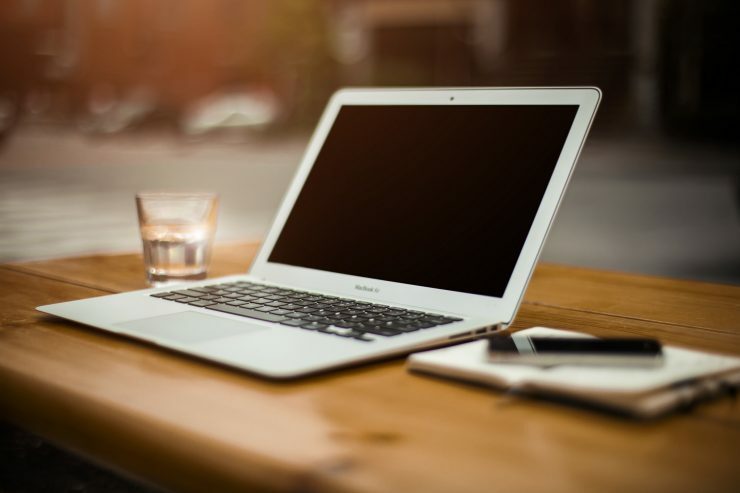 If you are eligible, you can purchase your laptop online, with the prices greatly dependent upon your situation, but in some cases, it can be as little as $0. You will need to provide a photo ID and eligibility proof dated within the last six months in order to be considered, however. Even if you can’t get a laptop for free, the company often has a variety of setups for as little as $150. The Alliance for Technology Refurbishing and Reuse is a non-profit that refurbishes and distributes computers at a low cost or even free to families in need. With multiple locations spread throughout the United States, you can find the nearest location by using the company’s official search tool. When using, click on the pin where you’re looking and you should see information for a local Reuse Coordinator. This would be the person you would want to get into contact for more information. InterConnection is a 501(c)3 non-profit organization, making information and communication technology accessible to the underserved communities around the world. And according to InterConnection, they make that possible by providing high-quality refurbished computers to nonprofit and non-governmental organizations, all while focusing on reuse instead of recycling. To learn more about the organization, you can visit InterConnection.org. Some Salvation Army locations may offer free laptops/computers to residents in need; however, not all locations offer this perk. Some locations may offer free laptops, while another neighboring city Salvation Army may not. Your results are going to greatly vary. To know for certain, contact your local Salvation Army chapter to see if they have a program in place. And if they do, figure out what the criteria is as well so you’re not wasting their time. To contact a Salvation Army near you, refer to the official location search tool at SalvationArmyUSA.org to receive more information. Similar to that of the Salvation Army, your local Goodwill may be able to help or point you in the right direction as well. Just like the Salvation Army, get in contact with your local Goodwill location and see if they can provide any information. In some circumstances, while it isn’t free, they may be able to offer you a barebones laptop for a very low price, which you can often find inside of an electronic bin inside of the store. To find a Goodwill, you can do so here. In some cases, churches often collect surplus electronic items, either from donations from the public or even large corporations, and then give them away to church members or residents in need. So whether you’re a member of a church or know of a church in your town, talk with them to see if they offer a program or know of one that may be able to help you. Catholic Charities and St. Vincent, for example, often offer free laptops to families in poverty and students in need. Your results will vary, so it doesn’t hurt to ask. Worst case, they may be able to offer guidance on options in your community. If you’re in desperate need of a laptop and need it to surf the Internet or do your homework, then you may want to stop by your local library as they often have multiple computers you can use for free, regardless of your income. As long as you’re a resident of your library’s city and can prove it with an I.D., you could be using a computer in as little as an hour. Find an open computer, log in with your library I.D. and from there, you can use the computer as you see fit, usually with a timer of some sort. If you’re lucky, your library may let you even check out a laptop and take it home just as you would a book. For example, the San Francisco Public Library lends out laptops to its patrons. For more information, contact your library to see if they have a laptop lending program and/or how their computer usage works. Your chances of finding a free laptop on Craigslist is quite slim, but I wanted to include it here anyway because, hey, you never know if you find something. Then, use the search on the top and use basic keywords such as “laptop” or “computer” to see if anything comes up. Now, in the case something does, keep in mind that a great freebie goes quick, so you’re going to want to act fast. In fact, there could be a good chance it’s already gone, so be prepared to refresh this page quite often to snag a good freebie. But in other cases, the computer may be in poor shape and may not work at all, simply meaning you’re going to have to repair it yourself, which may not be worth it after all. If you don’t mind spending a few bucks, consider checking out the laptops currently for sale as some people often unload their electronics for next to nothing. Like Craigslist, finding a free laptop on Freecycle could be possible, but honestly, your chances are quite slim; however, it shouldn’t stop you from checking it out to see if anything is available. To use Freecycle, you’re going to first want to find a group near you by entering a city near you on the main page. And if there’s a group available, click on it and view a list of the current freebie offers. You can view the listings, but to interact with the website, you will need to create a free account. 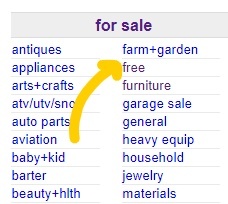 Again, like Craigslist, you can search posts or even request freebies if desired. If you’re part of a local Facebook group in your city, you could consider two options that may increase your chances at snagging a free laptop. For one, you could search the local Marketplace to see if anyone put a laptop up for grabs. Highly unlikely, but again, it doesn’t hurt to check! Like Craigslist and Freecycle, your chances could be quite slim. Even if a listing is active, it’s going to go fast. As a second option, you could ask the community if anyone is willing to part ways with a laptop they don’t use anymore. If going this route, however, don’t just ask for the laptop; instead, tell them why you need it. Don’t be greedy, either, as you’re just going to annoy the community. Whether it’s for school, your child or to work from home, you may be surprised at what the community could do for you, especially if you’re not doing so well financially. Be honest, share your story and in some cases, you may receive a donation or even guidance as to who may be able to help you. Oftentimes, local colleges and high schools have a computer club, in which they take old, run down computers and fix them up to donate to the public. 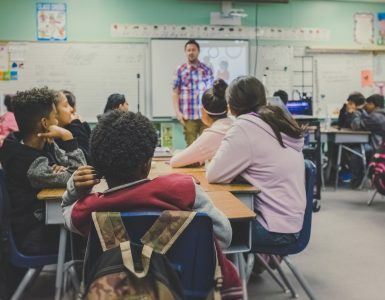 While not every school will have this type of club, either search online or if you’re comfortable with it, contact a local school to see if this type of program exists. If you are able to find one, do keep in mind that these clubs will work a lot like the organizations mentioned above, where you may have to fill out an application and show your financial restraints. It may be a stretch, but did you know that some colleges offer its students laptops for free? For instance, Wake Forest University offers laptops to its students, but it must be returned upon graduation. Some colleges may let you know right away upon signing up for classes, while other colleges may expect you to ask them. And depending on the school you’re attending, some may ask you to return the laptop upon graduating, while another may only offer laptops to certain students. If you do get a laptop as an incentive from the college, oftentimes, they incorporate the laptop cost into the tuition, so while it may seem free, it really isn’t. To see if your college is offering a free laptop, either talk with a guidance counselor or search online to see if you can find any additional information. Keep in mind that only a few colleges throughout the United States offer this opportunity, so don’t be discouraged if you find out your college doesn’t offer this type of program. If you want to really test your luck, consider finding a contest online that’s giving away a laptop. And yes, while you do have to win the laptop, you can’t win if you don’t play, right? To find these contests, I highly recommend either checking out Twitter and searching for something, such as “laptop contest,” or using third-party websites, such as ContestGirl.com, that post multiple contests a day. Here, you can search for laptop only contests to see if any are of interest. If you do consider entering a contest, just be sure to create a separate e-mail as many of these companies solely run these contests to grab your email address and send promotional material in the future. Also be sure to research the company in question to make sure it’s a legitimate contest. Most contests will simply ask for your e-mail address and/or mailing address and nothing else. NEVER give out your credit card information or sensitive data, such as your social security number, as this will only spell trouble. Again, a reputable contest website will only ask for simple contact information. If you have any electronic gadgets of any kind laying around the house, consider trading them in for Amazon credits via the Amazon Trade In program. This is an extremely easy way to get credits for your items, all without having to deal with the public or creating an auction listing. 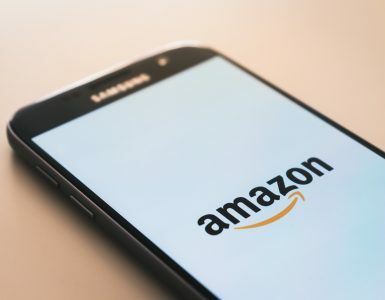 Amazon accepts hundreds of items as long as there’s a demand, and if that’s not enough, Amazon even pays the shipping when you ship your gadgets in. And if you’re able to get enough credits, then you could use it toward one of the thousands of laptops Amazon has for sale. Yes, while I know this isn’t technically free per se, it could be a great way to basically trade the items you weren’t using for a laptop you could. To see what your gadgets are worth, refer to the official website for more information. Sadly, the Internet, as you probably know by now, is filled with scams, including free laptop scams. From surveys to filling out a form, most of these options only make the website owner rich as they usually get a kickback for every submission they get. As the old saying goes, if it sounds too good to be true, well, it probably is! Always review the exact website online to see what other people are saying. If you can’t find anything, then it’s probably a newer website and should be avoided. Pay close attention to the website. Is it grammatically correct? Does it look up to date and trustworthy? Never EVER give out any sensitive information, especially your social security number. Read the terms and conditions closely before you apply for a laptop. As mentioned in the introduction, a free laptop can be very hard to come by, especially if you’re not on any financial assistance. Please just keep that in mind to avoid any scams since a free laptop DOES NOT come easy. 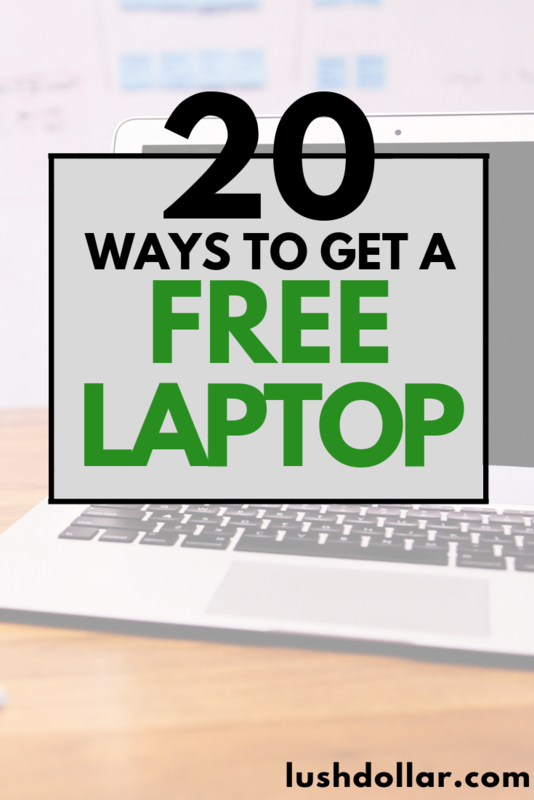 In the end, obtaining a free laptop is going to be a bit of a challenge if you’re not struggling financially. And even if you qualify for the organizations I mentioned above, a lot of times, you’re going to be put on a waitlist or no laptops may not be available at the time of applying, making it quite frustrating. In some cases, I saw wait lists for as long as nine months! As laptops are extremely cheap nowadays, you’re much better off purchasing a bare-bones system, such as a Chromebook, which can be purchased for as little as $150 brand new and do much of the activities you’re probably thinking about doing anyway. And if you trade in some electronics via Amazon or even sell some items on your own, it won’t be too hard to pile up $150. While you won’t be able to play graphic-heavy games, you will be able to surf the Internet, check your e-mail, watch videos and even use simple word processing apps, such as GDocs, if need be. In conclusion, a free laptop is possible, but you’re going to need to prove you’re on assistance in order to even qualify. And if so, there’s no guarantee. So if you were looking for a way to get a free laptop without doing anything, I’m sorry, I don’t have an answer and there really isn’t one, either! If you know of any resources or tips/strategies I should add, be sure to let me know as I would love to them to the list.